Only graduates of the Ida P. Rolf Institute can call their work Rolfing® or use the term Rolfer™. Rolfing is the name for the body of work that Dr. Ida P. Rolf originally developed and named Postural Release. It is now known internationally as Structural Integration. 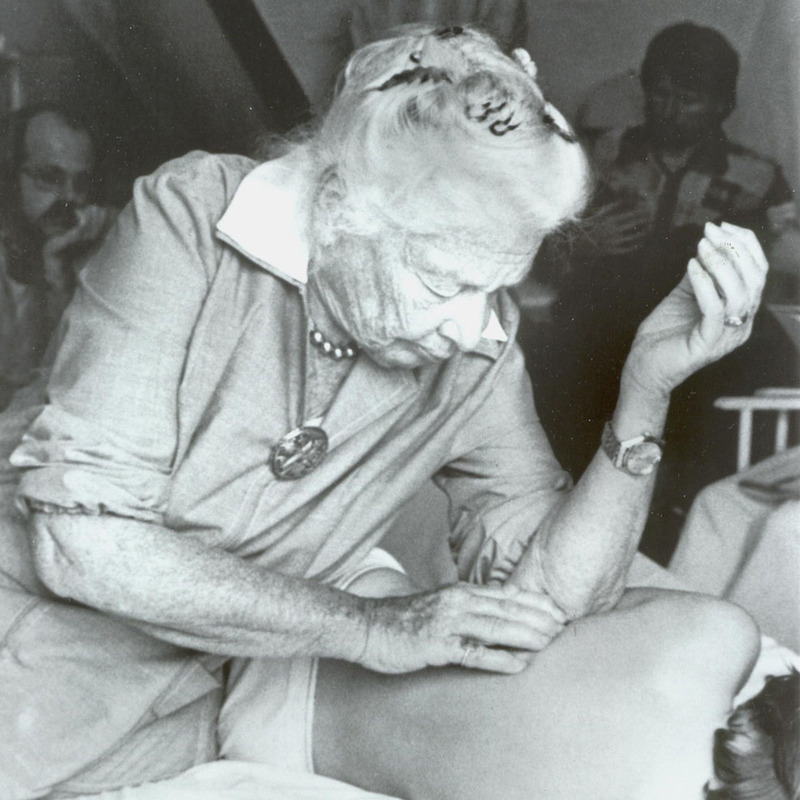 It was Ida Rolf’s unique insights into the nature of connective tissue and the relationship of the human body with the gravitational field of the earth that set Rolfing apart from other bodywork. Through hands-on manipulation she found that the human body could be oriented around a vertical line, which she called The Line. If the physical body oriented more efficiently around the line, gravity reinforced and improved rather than degraded the health and vitality of the person as a whole. She also discovered that the elastic properties of connective tissue allowed easy manipulation and that the body is literally suspended in a web of connective tissue. After six decades of research and development, Rolfers now use a combination of sophisticated touch that focuses on the connective tissue (including fascia, ligaments, tendons and the wrappings around muscle, organs and bones) and movement education that repatterns the nervous system to return the body to its natural place of ease and efficiency. The Rolfing process is interactive and the goals of each session are focused on the needs of the individual. Rolfers do not follow the symptoms of pain and discomfort around the body, but these sensations are frequently alleviated as a result of identifying and addressing the source of structural imbalances. Rolfing is an educational process that can be enhanced by delving into current research on the human body and the human experience. These websites and articles can assist your inquiry but are not exhaustive on the topic. Follow us on Facebook or contact us for a free consultation to learn more. We are excited you made it here and are available to answer your questions! Cottingham J. Shifts in pelvic inclination angle and parasympathetic tone produced by Rolfing soft tissue manipulation. Physical Therapy 68:1364-1370, 1988. Cottingham J, Porges SW, Lyon T. Effects of soft tissue mobilization (Rolfing pelvic lift) on parasympathetic tone in two age groups. Physical Therapy 68:352-356, 1988. Cottingham JT. Effects of soft tissue mobilization on pelvic inclination angle, lumbar lordosis, and parasympathetic tone: Implications for treatment of disabilities associated with lumbar degenerative joint disease. Public testimony presentation to the National Center of Medical Rehabilitation Research of the National Institute of Health, Bethesda, MD; March 19, 1992. Rolf Lines 20(2):42-45, 1992. Cottingham J, Maitland J. A three-paradigm treatment model using soft tissue mobilization and guided movement-awareness techniques for patients with chronic low back pain: A case study The Journal of Orthopedic & Sports. Physical Therapy 26(3):155-167, Sept 1997. Deutsch JE, Judd P, Demassi I. Structural Integration applied to patients with a primary neurologic diagnosis: two case studies. Neurology Report 21(5):161-62. 1997. Deutsch JE, Derr LL, Judd P, et al. Treatment of chronic pain through the use of Structural Integration (Rolfing). Orthopaedic Physical Therapy Clinics of North America 9(3):411-425, 2000. Findley TW, Quigley K, Maney M, Chaudhry H, Agbaje I. Improvement in balance with Structural Integration (Rolfing): A controlled case series in persons with myofascial pain. American Academy of Physical Medicine and Rehabilitation, October 9, 2004, Phoenix Arizona. Archives of Physical Medicine and Rehabilitation 85(9):e34, Sep 2004. Myers T. Structural Integration – developments in Ida Rolf’s ‘recipe’ – I. Journal of Bodywork and Movement Therapies 8:131-42. 2004. Oschman JL. 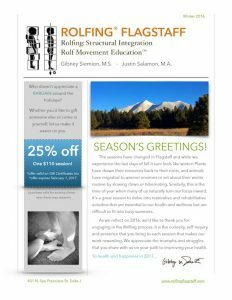 Structural Integration (Rolfing), osteopathic, chiropractric, Feldenkrais, Alexander, myofascial realease, and related methods. In Energy Medicine: The Scientific Basis. JL Oshman (ed). Edinburgh: Churchill Livingston. 2000. Rolf IP. Structural Integration. Journal of the Institute of Comparative Study of History Philosophical Sciences 1(1):3-19, 1963. Rolf IP. Structural Integration. A contribution to the understanding of stress. Confinia Psychiatrica 16(2):69-79, 1973. Schleip R. Fascial plasticity – a new neurobiological explanation: Part 1. Journal of Bodywork and Movement Therapies 7(1):11-19, 2003. Schleip R. Fascial plasticity – a new neurobiological explanation: Part 2. Journal of Bodywork and Movement Therapies 7(2):104-116, 2003. Training should be smart, creative, and most importantly SAFE! This is where Paragon Athletics excels. Providing exercises that are rooted in the latest research, developed through years of practice, and made to accommodate anyone with the will to get stronger. 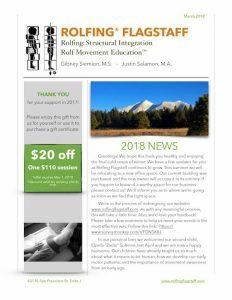 We’ll build upon the increased awareness and mobility Rolfing has provided, to ensure that your body is ready for whatever life throws at it. Come experience a higher caliber of training. Visit www.paragonathletics.com for more details. Canyon Explorations / Expeditions offers human powered raft trips through Grand Canyon. We are family owned and operated and focus solely on providing the best river experience in the Grand Canyon. For 23 years we have been refining our unique trip experience, combining exploration and adventure with education and environmental awareness. We offer unique trip options and no matter the trip format our long trip lengths create opportunities for extended hiking. Each day on our Hybrid Trip, participants choose to ride in one of our five oar boats, one fourteen foot paddle boat or two inflatable kayaks. On our All-Paddle trips, participants paddle one of three paddle rafts while the gear is rowed in four supply rafts. Join us for a trip of a lifetime through Grand Canyon! Visit www.canyonexplorations.com for more details.